This fall Kalas will proudly celebrate our 60th Anniversary. Starting out of a hardware supply store in Denver, PA to today’s coast-to-coast copper manufacturing and value-add solutions company Kalas has a history filled with seasons of growth and change. To celebrate our 60 years of business and the memories that come with longevity, we will interview associates who have been with Kalas through many seasons witnessing Kalas’ history first-hand. 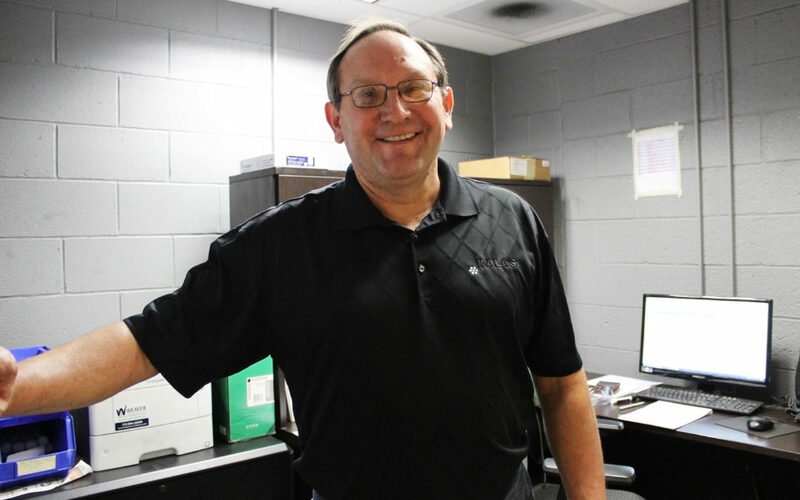 To start off our monthly feature honoring our most loyal employees, we want to introduce you to Russ Pannebecker. Russ has been with Kalas for over 40 years and has had the opportunity of experiencing many aspects of the manufacturing process. He started with Kalas in January of 1978 working 2nd shift in Engineered Cable Products Division. At that time all divisions were located in one single building in Denver, PA. After a short 3 months, Russ moved to the bare copper wire division where he ran bunchers and wire drawing machines on 3rd shift until moving to 1st shift after 5 years. In the late 80’s Russ was offered a promotion to 2nd Shift Supervisor. Unexpected at the time, this promotion was a highlight and a joy to him. He was able to experience Shift Supervision for each shift over a span of many years following his promotion. After that season, he was promoted to Plant Superintendent. Shortly after he elected to move to a production related job where he currently works as a Process Flow Coordinator scheduling wire production. Over Russ’ 40 years with Kalas, several memories come to mind as highlights for him. Outside of his unexpected promotion in the 80’s, Russ describes the whole season of the early 90’s through the early 2000s as memorable as Kalas went through vast expansions and change. New equipment was added throughout Kalas, particularly Multiwires at K-1 were introduced and added year after year as well as new bunchers to keep up with Kalas’ growing business. All of the changes made for exciting memories during Russ’ time with Kalas. Russ would say the biggest change he had experienced over his time was the introduction of multiwire and the increased technology during that time period. “It totally changed how we did things. We went from 40 LB spools to 2,000 LB reels for payoffs, truly was remarkable at the time.” Russ says. As a company, we are so thankful for associates like Russ who take pride in their roles at Kalas and see the positives in working in our interesting field of manufacturing.